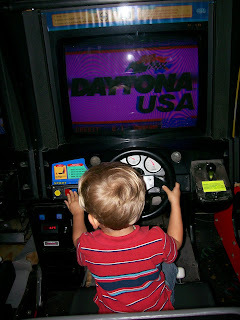 Dawson was drawn to the rows of motorcycle and car games at Gattiland. 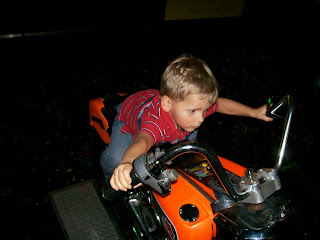 Close-up shot of Dawson on the motorcycle. He went from one car to the other, making his way down the row until he had "driven" each of them. 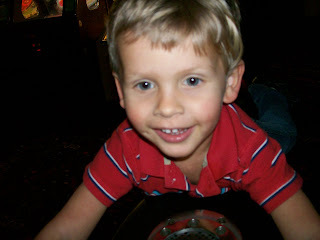 Thankfully, at this age he's happy just pretending to drive the cars and no money was necessary. 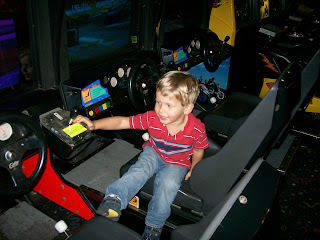 Driving one of the many cars.